How is VAT (Value Added Tax) on Bitcoin handled in different countries? In this article we provide a simple comparison of VAT (Value Added Tax) in different jurisdictions including Germany, UK, USA, Japan, Canada, China, Singapore, India, Russia, Switzerland, Sweden, Norway, New Zealand, Finland, Brazil, Estonia, and Denmark. Currently there is no clear guidance regarding MWST (Mehrwertsteuer, i.e. German VAT) for bitcoin trading activities and transactions. 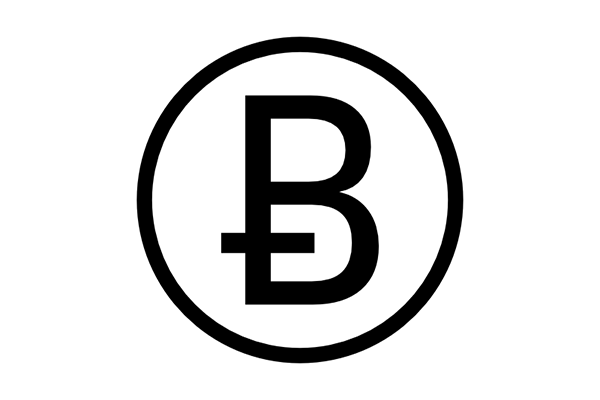 The broad guideline establishes that trading bitcoins for fiat does not incur sales tax. Using bitcoins as a means of payment does not incur additional taxes (for the payment process), but the underlying business transaction (the actual sale), will still be taxed as normal. It is clear that Germany excludes bitcoin from capital gains tax after the first year of possession, the original article published in “Die Welt” makes no definite reference as to how sales tax would be handled. The German federal financial supervisory authority BaFin (Bundesanstalt für Finanzdienstleistungsaufsicht) states that Bitcoin is not e-money within the meaning of the Payment Services Oversight Act (ZAG) and the European Union Electronic Money Directive. BaFin rather classifies bitcoins as “financial instruments”, which means that bitcoin companies must meet strict standards as they are now in principle regarded as financial service companies which must be licensed and will be supervised by BaFin. First of all, it’s important to realize that the United States does not have a federal value-added tax (VAT) on goods or services. Instead, sales tax is common in most US states and varies from state to state and so far no state has issued any guidelines on taxation of bitcoins. According to SEC (Securities and Exchange Commission), when the exchange rate gain is $200 or less and it is a personal transaction, then the gains need not be claimed. The Cryptocurrency Legal Advocacy Group (CLAG) has published a memorandum detailing aspects of income taxation in the U.S. regarding Bitcoin. There is a Report of Foreign Bank and Financial Accounts (FBAR) filing requirement for financial accounts in a foreign country when the aggregate value of the accounts exceeds $10,000 at any time during the calendar year. An additional topic that may have a connection to Bitcoin is the Foreign Account Tax Compliance Act (FATCA) filing requirement in the U.S. It is likely that these requirements apply to bitcoins or USD funds held in non-US bitcoin exchanges or wallet services. In addition, the US anti-money-laundering agency FinCEN (Financial Crimes Enforcement Network) recommends that activities which are classified as Money Services Businesses (MSB) or Money Transmission Businesses (MTB) should be applied equally to both real currency and virtual currency. Therefore activities such as remittance, payroll, and check cashing would be regulated whether the type of money is real or virtual. However FinCEN does not provide any guidance on applicable tax on transactions that use virtual currencies like Bitcoin. 2.Accepts and transmits funds only integral to the sale of goods or the provision of services, other than money transmission services, by the person who is accepting and transmitting the funds. Apart from hosting the well-known Mt. Gox exchange for Bitcoin, Japan has not established any tax regulations for bitcoin transactions. Although, the Bank of Japan’s governor Haruhiko Kuroda expressed that the Institute of Monetary and Economic Studies at the central bank is studying and watching the digital currency closely, but has no plans to take any form of action on bitcoin - be it good or bad. According to the Canada Revenue Agency (CRA), there are two separate tax rules that apply to the electronic currency, depending on whether they are used as money to buy things or if they were merely bought and sold for speculative purposes. “Barter transaction rules apply where bitcoins are used to purchase goods or services”, Canada Revenue Agency spokesman Philippe Brideau described in an email. “When bitcoins are bought or sold like a commodity, any resulting gains or losses could be income or capital for the taxpayer depending on the specific facts,” ruled the CRA. There are no clear guidelines on how the tax issues associated with bitcoins will be handled including the ones regarding capital gains. The Chinese central bank has banned banks and payment processors to be involved with Bitcoin related transactions. The GST (Goods and Services Tax, VAT equivalent in Singapore) treatment of the supply of bitcoins depends on whether the company is acting as an agent or principal in the transaction. If the company merely facilitates and is acting as an agent in the bitcoin trade (e.g. bitcoin exchange transfers bitcoins directly to a customer’s wallet), then GST is chargeable only on the commission fees received. However if the company is acting as a principal in the bitcoin trade (e.g. it buys and onward-sells bitcoins to the customer), GST is chargeable on the full amount received, i.e. : the sale of bitcoins and commission fees. Under certain circumstances income tax and capital gains tax may apply. Companies in the business of buying and selling bitcoins will be taxed based on the gains from sales of those bitcoins. On the other hand, if the bitcoins are part of the company’s investment portfolio acquired for long term investment purposes, the gains from the sales will be capital (There is no capital gains tax in Singapore)in nature, and thus not taxable. The Reserve Bank of India (RBI) has not shown any interest yet in regulating Bitcoin, although it issued a public notice warning users to stay away from digital currencies. However, in a recent development, the Indian Revenue Services (IRS, the revenue agency of the government of India) of India is looking at how they can impose tax on Bitcoin miners in India in the long run. IRS is thinking of imposing tax based on the currency’s value at the time of mining, although it hasn’t provided any details about how the taxation will be applied. The Russian Central Bank (CBR) issued a statement on Monday January 27 warning that virtual currencies or “money surrogates” are illegal under Article 27 of the Federal Law. This leaves no scope for any tax regulation regarding VAT or capital gains, at least till the time government starts to recognize Bitcoin. There has been no official statement on VAT yet, however, it is likely that Bitcoin exchanges have to add VAT on top of their transaction fees. In addition, the Parliamentary Group for Digital Sustainability (Parldigi) has called on the Swiss Government to evaluate the opportunities for the use of Bitcoin by the country’s financial sector and to clarify the digital currency’s legal standing with respect to anti-money laundering, VAT, and securities laws. 2. The company bought some bitcoins from the customer. In the first transaction, VAT is added by the company and recorded as output VAT, which is 25% according to Swedish Tax Acts. In the second transaction there is no VAT since the purchase is from a private individual. Later when the company wants to get rid of the bitcoins this will be considered a sale of bitcoins (regardless of whether they are exchanged for some currency or if something is bought using them) and then VAT should be added to the sale and recorded as output VAT. Norway’s director general of taxation, Hans Christian Holte, said that Bitcoin “doesn’t fall under the usual definition of money.” The Norwegian government instead decreed Bitcoin to be an asset upon which capital gains tax can be charged. According to Bloomberg News, profits from Bitcoin will fall under the wealth tax, and that losses can be deducted. Holte also said there will be a 25 percent sales tax for businesses engaging in Bitcoin trade. New Zealand does not have any tax regulation in place for Bitcoin yet. John McDermott, assistant governor at the Reserve Bank of New Zealand (RBNZ), said that banks and businesses should “tread very carefully” with the digital currency. Finland has declared Bitcoin as a commodity, but the Finns can still use it to pay for goods and services. Any income generated via capital gains is taxed, though losses are not deductible, and Bitcoin mining gains are taxable as income. However, there is no regulatory guidance on any sales tax that could be applicable. In a recent regulatory change in October 2013, Brazil recognized electronic currencies as a valid mode of payment for agri-businesses. However, there are no guidelines on sales tax or capital gains tax on Bitcoin transactions. Denmark’s Finanstilsynet (Financial Supervisory Authority) has issued a statement rejecting the Bitcoin as a currency and stating that it will not regulate Bitcoin use.